Brazil and Peru are two of the largest fishing countries in the world. 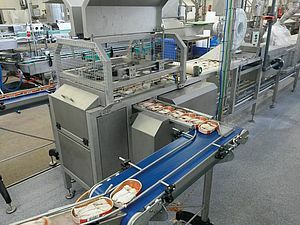 Despite the fact that it has a very small fishery harvest, Germany belongs to the leading fish and food processing technology suppliers. Worldwide the fishing industry faces challenges related to food security, employment and economic development. One can find answers for the challenging sustainable use of fish and seafood and their efficient and safe processing for the food industry combining local and global knowledge – the “glocal” approach. The appropriate answer depends on geography, national market situation and technology standards. Our project is the implementation in practice of this “glocal” approach and involves Brazilian, Peruvian and German academia and a German middle-sized enterprise. The co-funding program develoPPP by the “German Development and Investment Corporation DEG/KfW” supports this initiative. The “Pontifícia Universidade Católica do Rio Grande do Sul” (PUCRS), the “Pontificia Universidad Católica del Perú” (PUCP), and the “Universität Rostock” are the scientific partners. 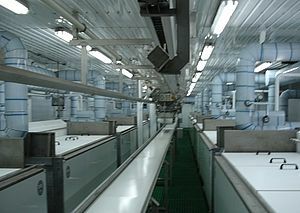 The German mechanical engineering company “ROSOMA GmbH” (ROSOMA) co-finances the project and for decades has been working globally for the careful processing of fish. Additionally, the German small-sized enterprise “envitecpro GmbH” acts as project developing company, strongly supporting the international networking. Local contacts with the fishing industry are done via the German Chambers AHK Porto Alegre and AHK Lima. Furthermore, the local industry associations are invited to collaborate with the project. This consortium, operating since May 2017, assures a holistic approach overall the process, beginning with the fishery and aquaculture until the fish processing and distribution. In particular, "life-cycle assessment" shall be the benchmark to evaluate technical solutions under sustainability aspects. At least three workshops each in the two Latin American countries with German specialists and one workshop with all participants in Germany will happen during two years. The project includes also student mobility to Germany, common publications and a project-specific website. Targeting the local market conditions, ROSOMA promotes B2B meetings, trade fair participation, and discussion with local associations. Positive outcomes are expected: a) creation of new sales opportunities for ROSOMA, then fully understanding the local conditions; b) sensitization to sustainable standards; c) transferability of the results to all local fish processing companies in Brazil and Peru; d) high impact with development effects on food hygiene standards and working place conditions; e) increased wealth in the regions while respecting nature and diversity; f) generation of scientific knowledge and training of students involving participants of the three countries, setting a proficuous basis for further international projects.